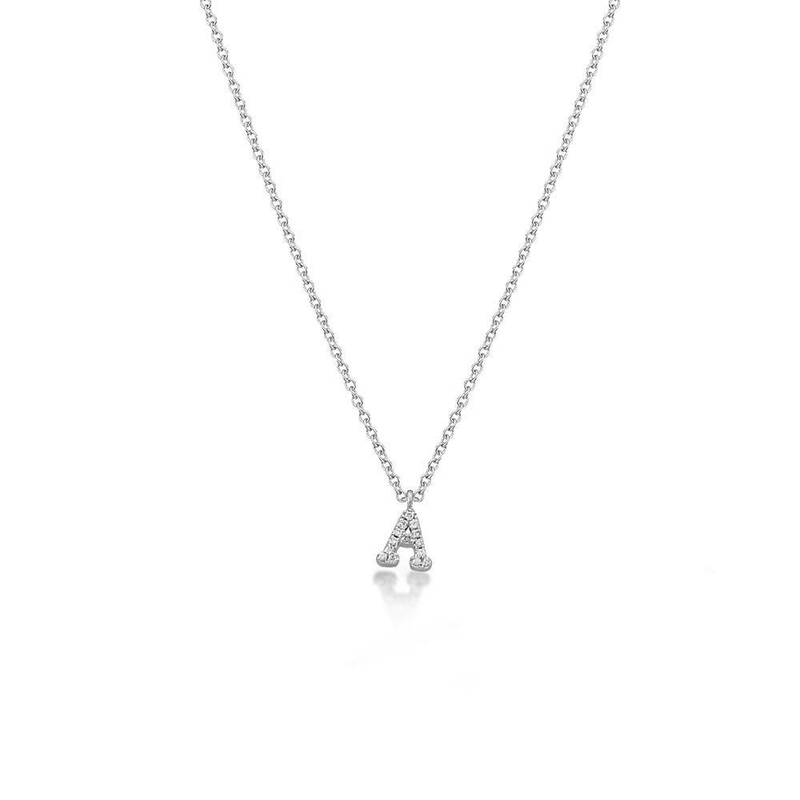 Custom diamond initial pendants of classic, contemporary styling, as seen on Jillian Harris! These pendants are crafted in 14k white, yellow and rose gold and set with round brilliant cut diamonds in a micro pave setting. The diamond initials are suspended on a 14k gold, rolo link necklace that measures 18" in length with two gold rings near the clasp to adjust the length to 16 inches and 17 inches. Each initial is a special order. In stock initials ship out in approximately 2 - 7 days. Out of stock letters ship out in an estimated 5 - 7 weeks.